This is a tough story. The title character and narrator tells us right-off-the-bat that she will disappear in a week. She lets us know that this is the story of the week before she vanished forever. This grabbed my attention immediately; then she hinted that there would be a crime before she goes. This kept me reading long into the novel. Reading pages and pages of a very sad life, a very desperate life. 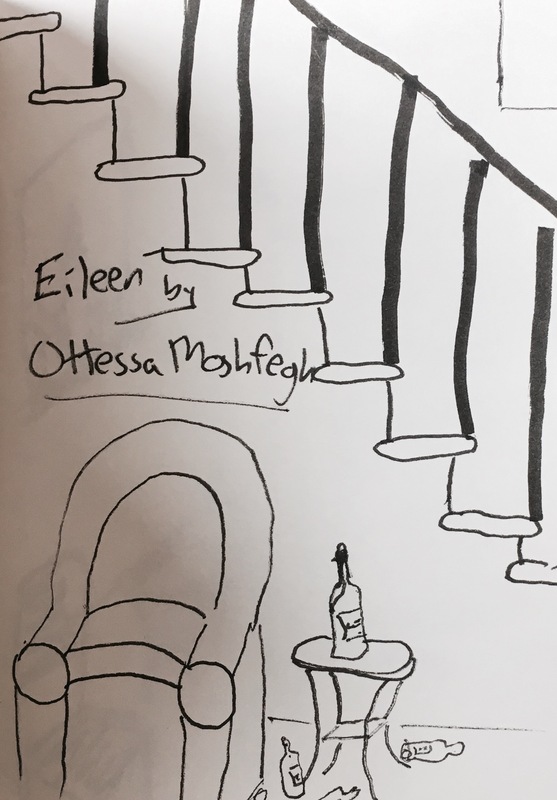 Eileen, the father she lives with, the people she works with at the local boys prison, are all people living at the bottom of America’s social ladder. Eventually, after you get to know them better, you begin to lose sympathy for them, too. They kind of deserve it, a little. They are both the victim of life’s circumstances and their own choices which makes liking them something of a challenge. I felt sorry for Eileen and for most of the other people in the novel, but I wouldn’t want to spend much time with any of them. The promise of a shocking ending? Was that all? Ms. Moshfegh’s writing is very good. Her characters, the events in their lives, the way she evokes the setting, all work very well, all feel very real. Maybe too real at times. The descriptions of poverty-stricken households were a bit hard to take. Eileen’s family makes Lucy Barton’s look pretty good. But chapter after chapter, day after day, no big crime. Eileen has been planning on leaving since before the book began, but she showed no sign of going, no sigh for over 150 pages. And I sat reading on, my jaw hanging open in a state of shock. When it finally came, it came as a complete surprise. Eileen is definitely worth the wait. It took me two tries to finish this because of that long stretch before the shocking ending. When I came back to it a second time and pushed through, I appreciated the slow build more. I do think Moshfegh might be better as a short story writer, though, because her descriptive writing is so good. She has a collection coming out next year, so I may give it a try to see.